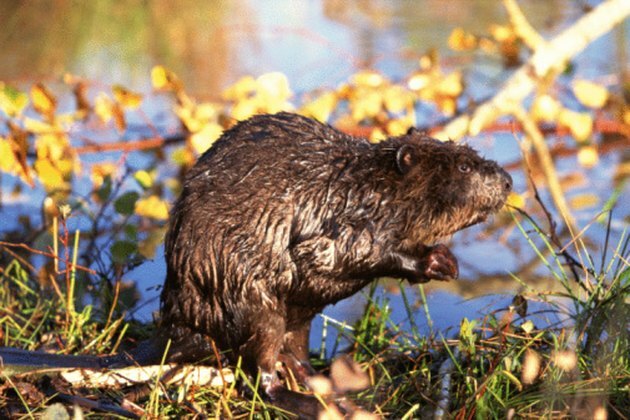 A beaver provides natural irrigation when it builds dams in the wild. When it cuts down trees and builds dams in populated areas, however, these attributes become a nuisance. The nuisance can become dangerous if the dam causes damage to property or injury to people. Once this happens, it becomes necessary to remove the beaver and the dam from the river. There are several ways to accomplish this without killing the beaver. Beavers can be cute, but they can also be a nuisance. Starve them. Beavers like to eat trees as well as use them for dam-building. They prefer poplar, birch, alders and willow trees to most others. Getting rid of these trees, and possibly replacing them with balsam or spruce trees, will encourage the beavers to find a better place to live. Trap them. There are a wide variety of traps available, both deadly and humane. You can use the trap that best suits your needs. If you choose to trap the beaver, release it at least 10 miles away, or he will just come right back home. Apply animal repellent to the local trees. These repellents are generally designed for deer and rodents, but they will typically work on beavers as well, unless the label specifically restricts its use. The repellent will prevent the beaver from eating or cutting down the trees in the area, and it will have no choice but to move on.